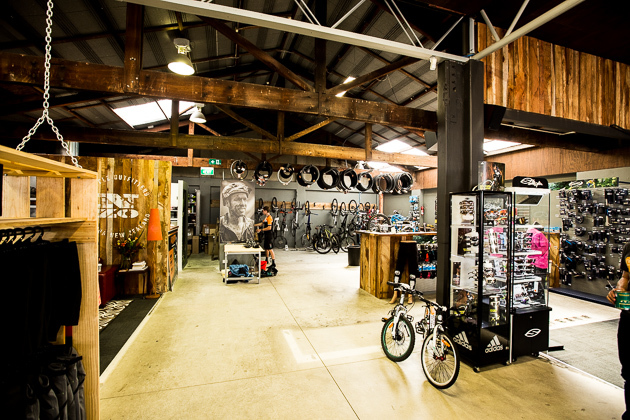 Since we are in Rotorua, New Zealand, for Crankworx, we paid a visit to the new Nzo store in the center of town. 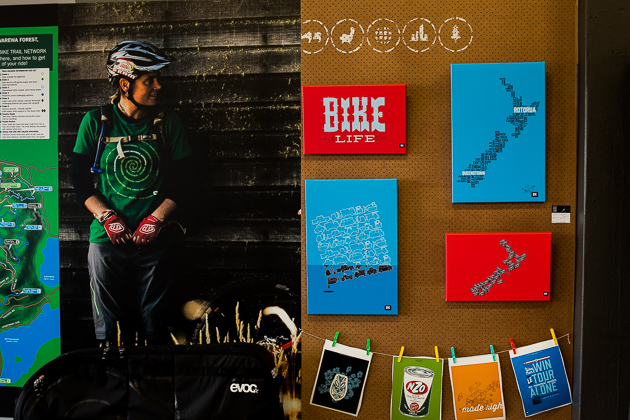 Nzo is an apparel brand that has been making mountain bike shorts and jersey for nearly 20 years under the direction of owner Gary Sullivan, or Gaz. 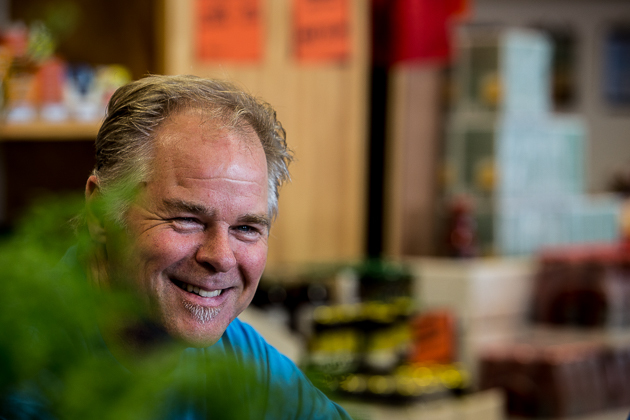 He opened the concept-style shop two months ago with the building's owner Craig Corbett. The store is set up uniquely inside a '30s-era building that once served as a mechanics garage for Ford Motor Company. The ceiling's exposed wood beams are original and the entire building is warmed year-round by geothermal energy–a free heating bill courtesy of the constant volcanic activity in Rotorua. 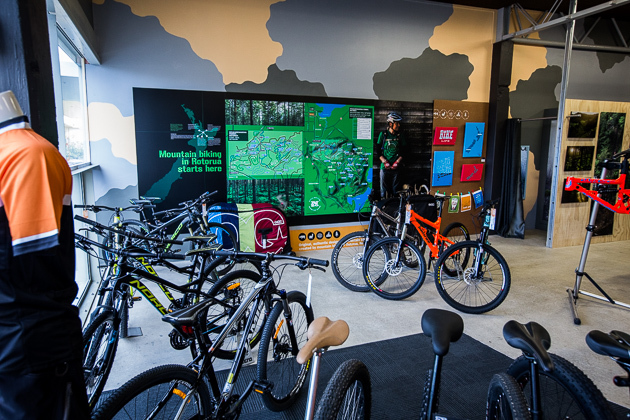 Gaz, a graphic designer by trade, started Nzo 18 years after he and his wife moved to Rotorua, predicting the North Island town would become a mountain biking epicenter (they were right). 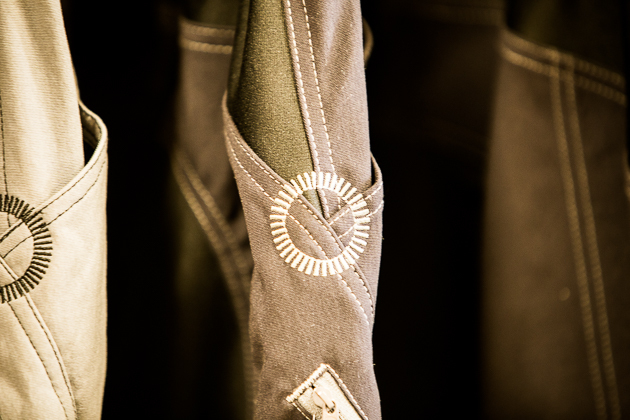 Gaz started selling his shorts in a boutique and expanded to retailers in New Zealand, Australia and Western Europe. Eventually, his apparel could be found in 600 retailers and he was bringing in sales of about NZD$1 million per year. He developed the Dobie shorts in 2000, and they remain the brand’s biggest seller today. They are still made in New Zealand. He started making and selling removable mountain bike liners in 1999, while most brands were still stuck on those awful sew-in liners. But, Gaz couldn't reach that magic profitability line while still making all the product himself in New Zealand. That, he estimates, would've required five times the number of sales. He decided to part ways with his then-business partner, took the brand back and started selling online only. Now he sells about 400 to 500 pieces a year, resulting in sales of about NZD$300,000 a year. "We're not a success story, but we have had a lot of fun while we've been doing it," Gaz says. Gaz may not be a ‘success story’ in terms of bringing in the big bucks, but he is in happiness–he’s brought the company around to where it started–one manageable store and a simple business plan. 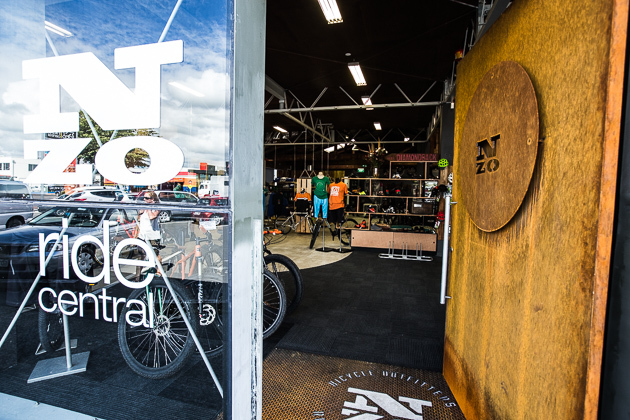 About one-third of the Nzo store is dedicated to the brand's apparel, with a service area and P & A and complete bikes taking up the remaining space. Nzo brings the credibility and image of a Kiwi brand that's been around for two decades in exchange for floor space. Gaz said he won’t open another retail space, but he is hoping to attract buyers to his online store from North America, where sales have been sporadic. He has a small booth here at Crankworx and is the shorts sponsor for the new Juliana-SRAM pro team. “It’s pretty exciting for us,” he said. For more on Nzo, go to nzoactive.com.